Ahlea Khadro is the founder and owner of Soulstice, a Center for Optimal Living & Rehabilitaion through yoga, reformer pilates, Meditative Practices & Nutrition. 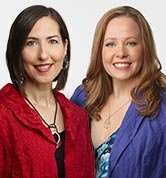 She specializes in Visceral Manipulation, Cranio- Sacral, Holistic & Nutritive Support, Emotional Release Techniques and EMF Remediation. Heather Dane is a writer, researcher and certified professional coach specializing in solutions for chronic health conditions, addictions, eating disorders and out of balance lifestyles.